Driving into the desert is both exhilirating and solemn. The feeling of freedom abounds; free to explore and step out alone. There are no limits. 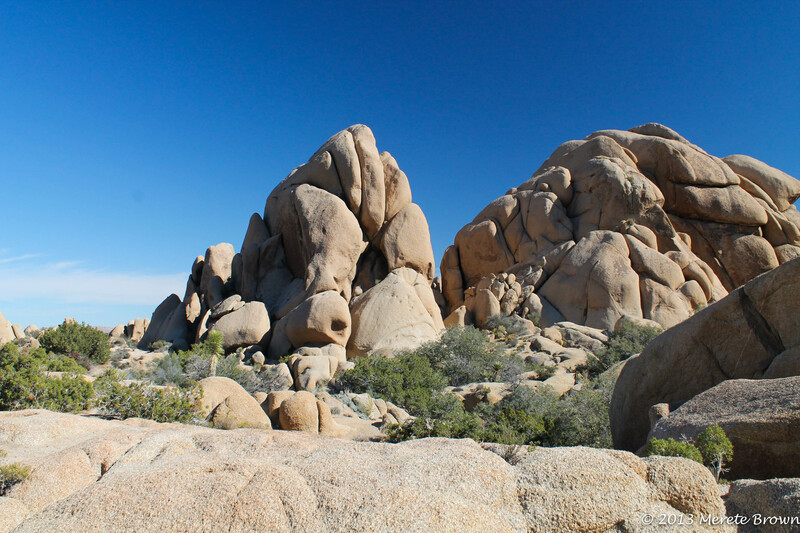 Where the Mojave meets the Colorado Desert, mile after mile, foreign terrain stretches out past oddly shaped Joshua trees and large stacked boulders. Funky cacti sprout out in every direction. The sun beats down in a warm stride, making the landscape harsh and often devoid of color, until late in the day when the sun drops to the horizon. The blue sky blends into the neutral toned landscape. Such a place has a mystical feel to it. 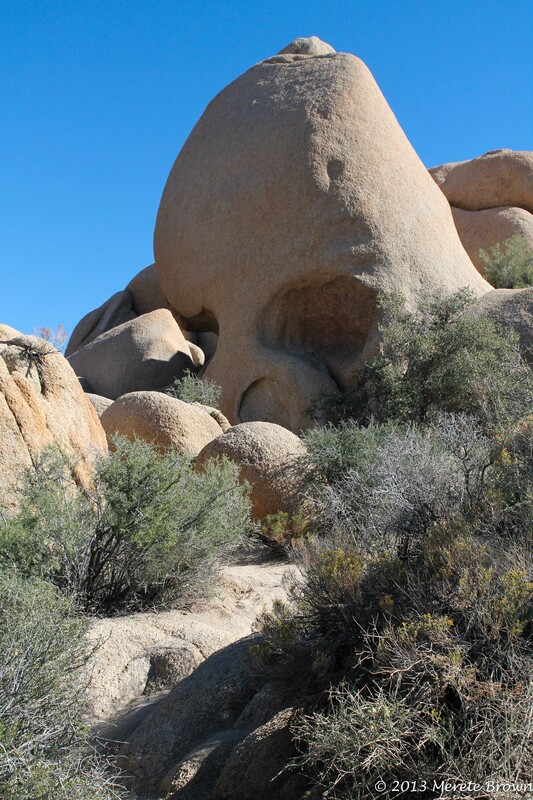 It’s just another day at Joshua Tree National Park. 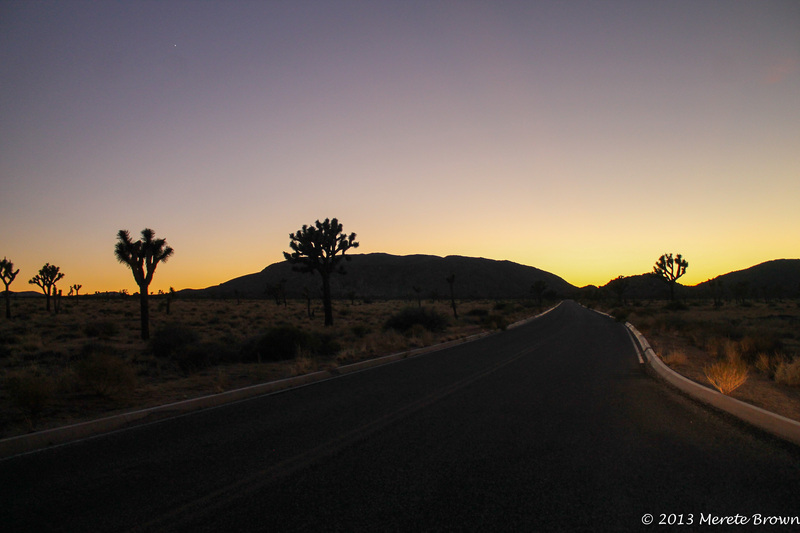 On a recent trip to Joshua Tree National Park, I arrived just as the sun was quickly descending in the sky. I checked into the Roughly Manor, an oasis in the desert, located in Twentynine Palms, CA and threw my bags into the cottage before racing outside with my camera. 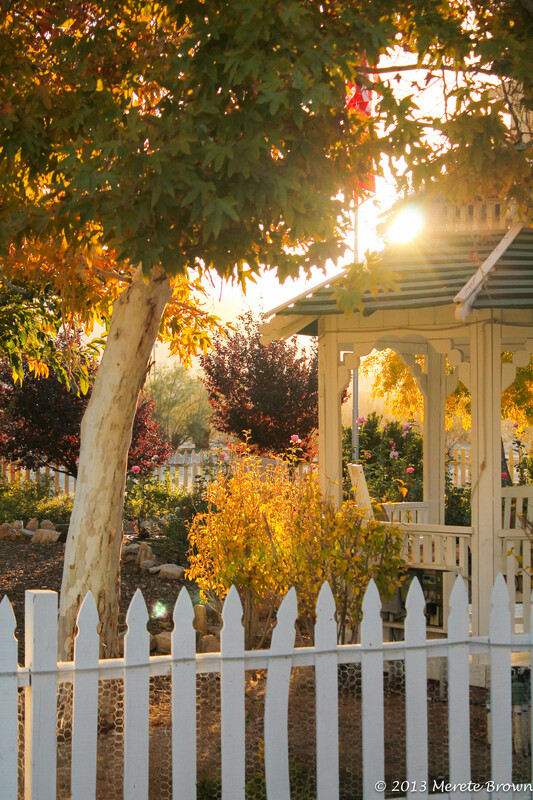 The light was streaming through the trees at a perfect angle, bouncing off the grounds of the Inn. Knowing that the daylight wouldn’t last much longer, I quickly drove across the highway into the park, stopping to grab a park map before racing towards the receding light. As the sun dropped lower, the landscape came alive as if a rainbow blended into the sky. 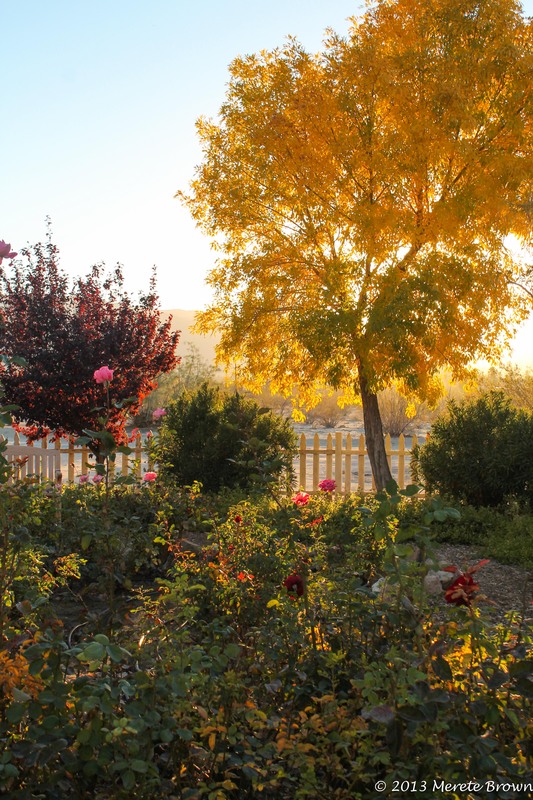 The whole park lit up in a soft colorful glow, bouncing off the San Bernardino Mountains and silohetting the Joshua Trees and strangely shaped boulders. As I scuirred towards Keys View, a lookout over the Coachella Valley and a gateway to the receding sun, I couldn’t resist the urge to stop along the way to try to capture the light filling the park. 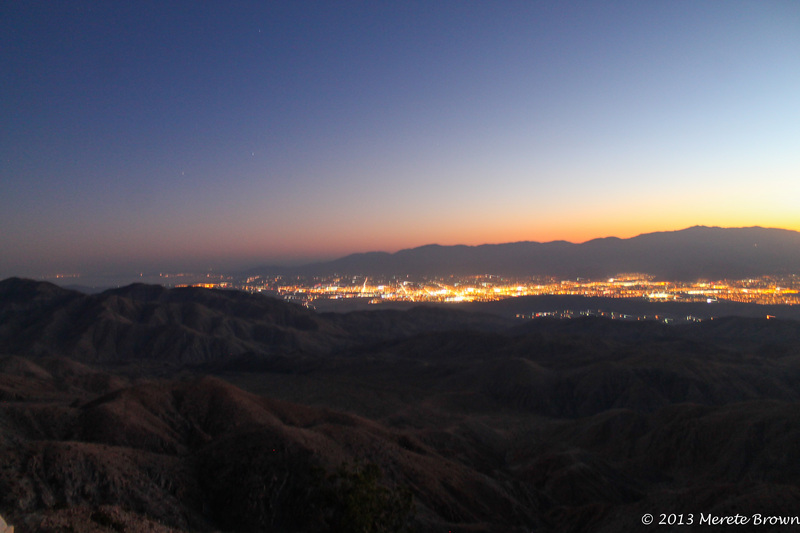 By the time I reached Keys View, the light was barely lingering, but the valley glowed with bright city lights. It was almost 6:00 p.m. and basically dark, but it was still worth the drive to see the view. 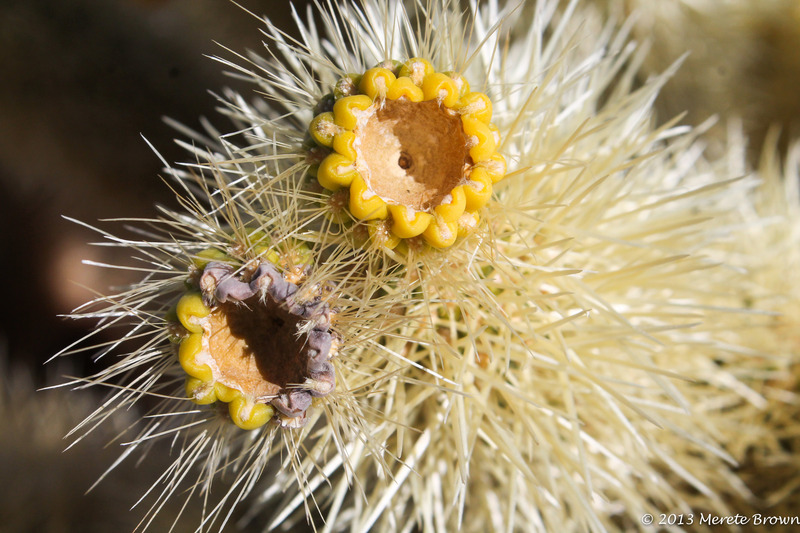 The next day, I took more time to explore the park, first driving to the Cholla Catus Garden and the Ocotillo Patch, then backtracking to the crazy rock formations interspersed throughout the park. As the day worn on, even in November, it got hotter and hotter. 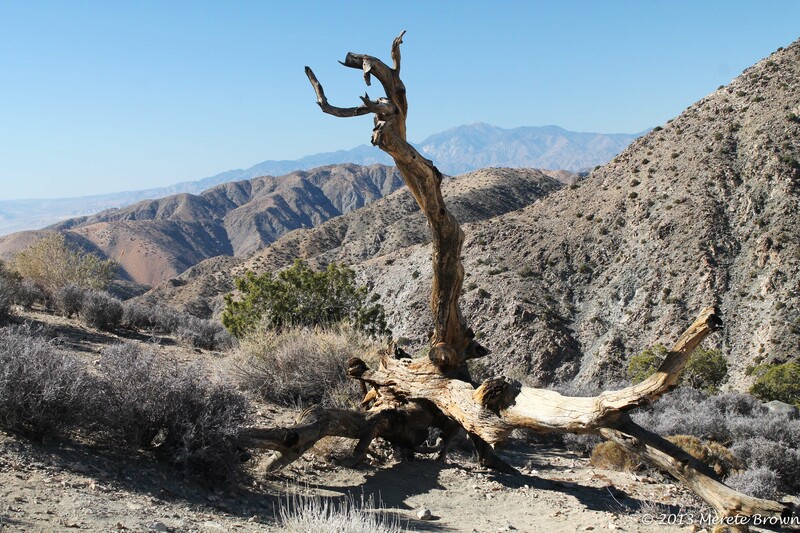 After hiking around Skull Rock, I headed back up towards Keys View to see the valley in the daylight, before looping back out of the park towards the town of Joshua Tree. As usual, I didn’t leave the park disappointed, just eager to return. There’s something about the desert that always draws me back. 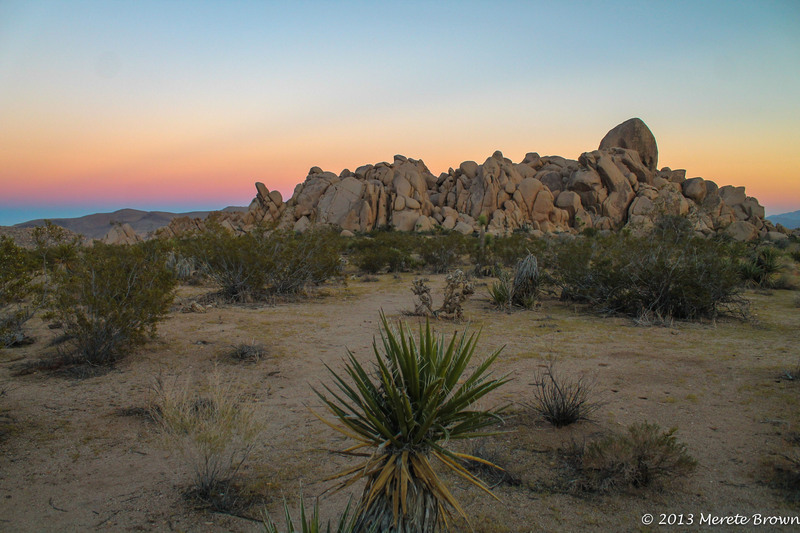 The enchanting nature of Joshua Tree National Park proved to be the same. 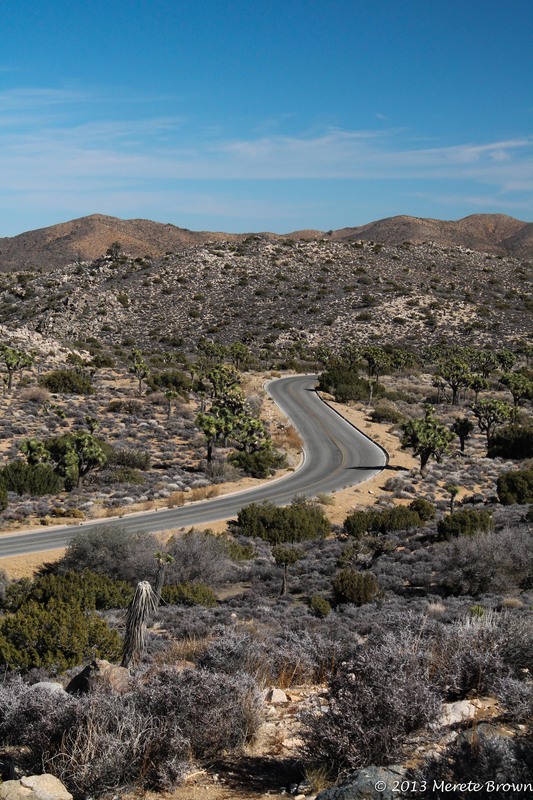 Also check out this video montage of Joshua National Park and Twentynine Palms, CA! 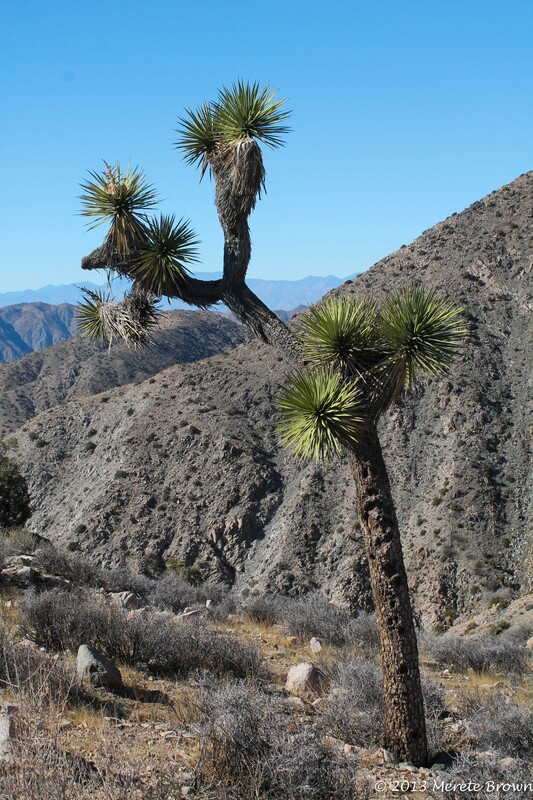 Is a Joshua tree really a tree? 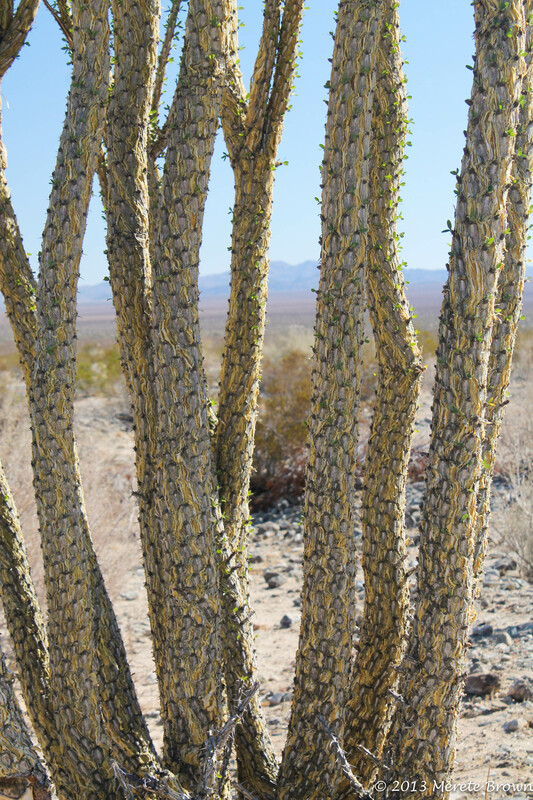 No, it’s actually a species of yucca, with its waxy, spiny leaves, exposing only a little surface area to conserve moisture in the desert. 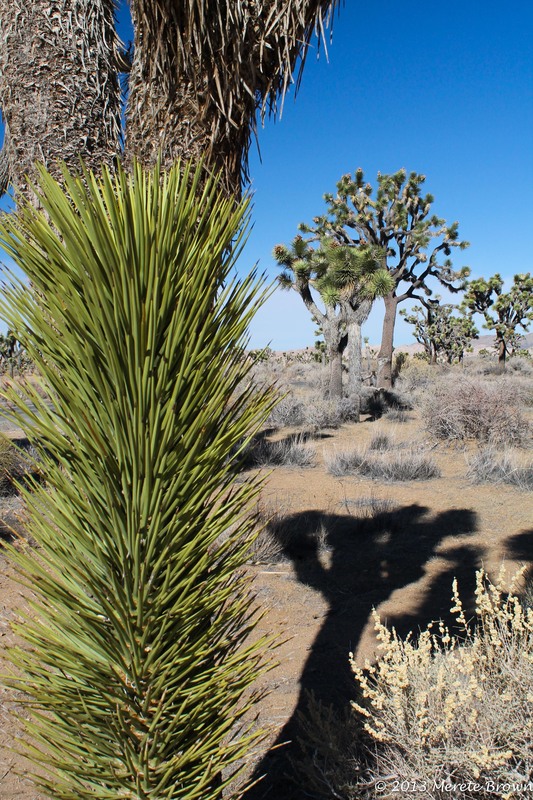 How large can Joshua trees grow? 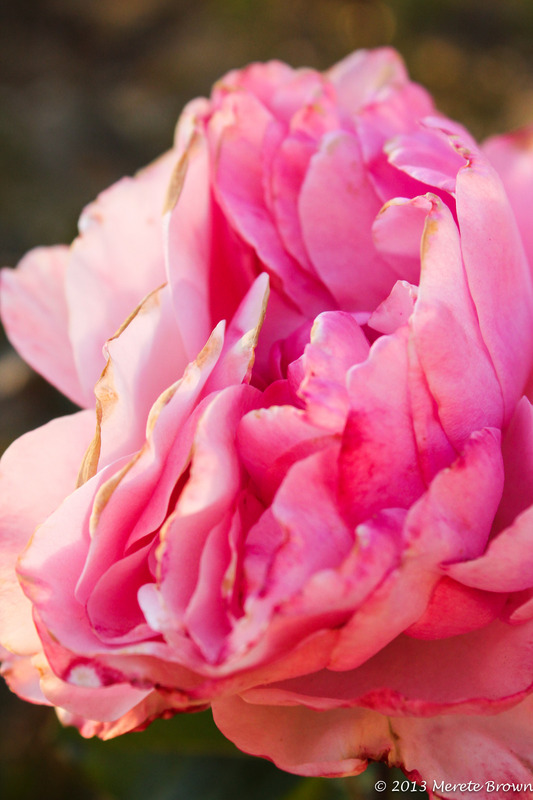 They can grow to over 40 feet tall at about the rate of an inch a year. 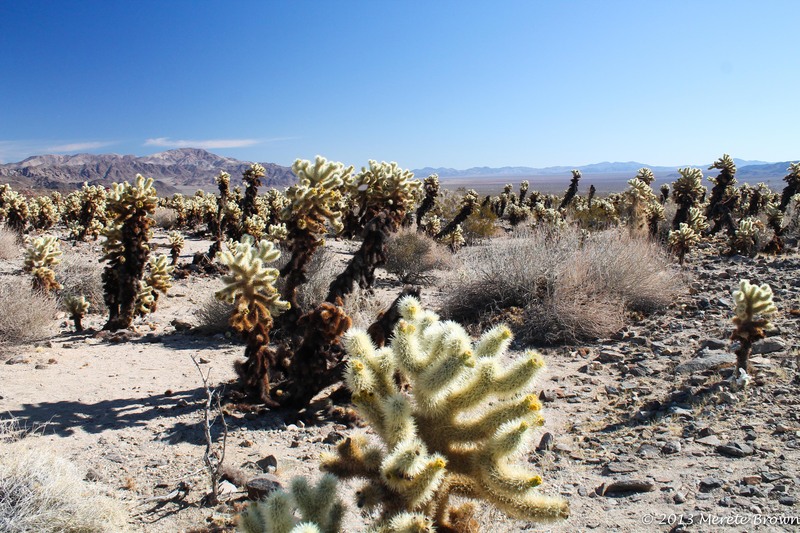 What is the difference between the Mojave and the Colorado Desert? 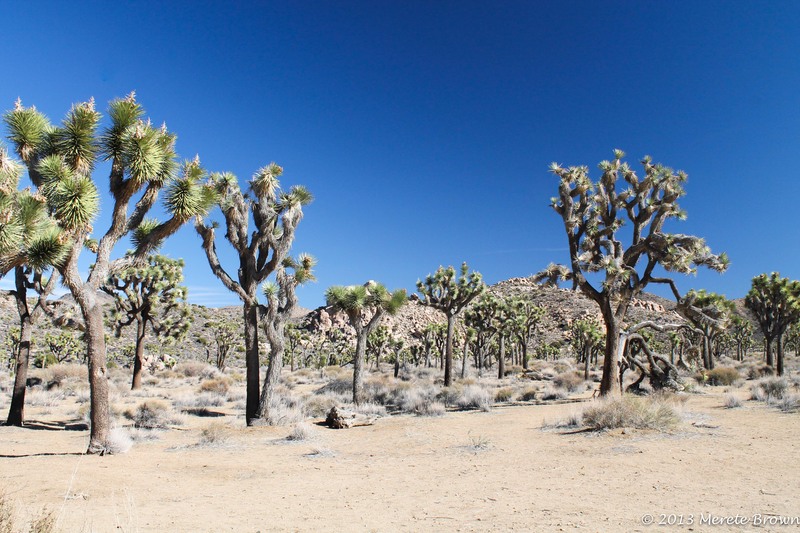 The Mojave Desert makes up the western half of Joshua Tree National Park at elevations above 3,000 feet. 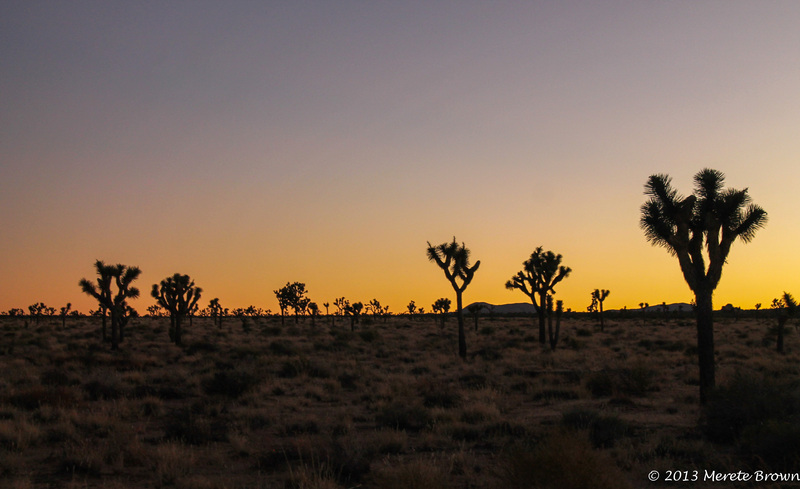 In the Mojave portion of the park, you will see the Joshua Trees. 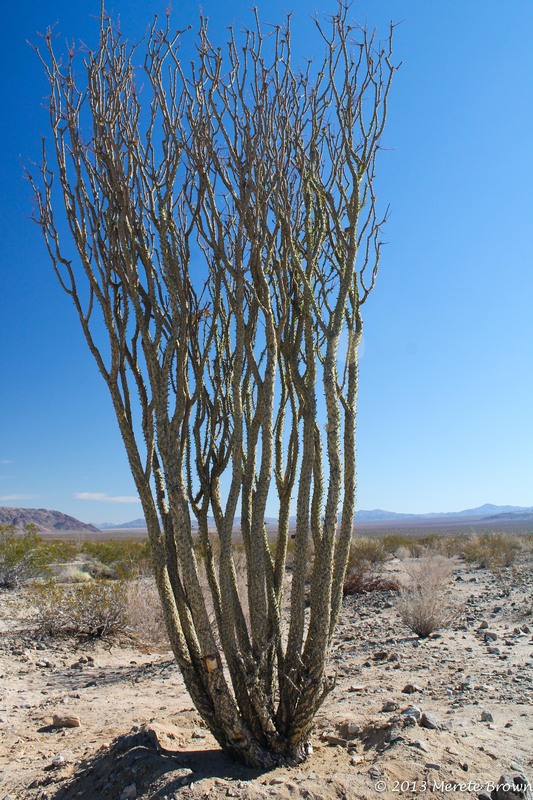 You may also see other plant and animal life, such as the prickly pear cactus, the mojave yucca, junipers, black-tailed jack rabbits, lizards, and rattlesnakes. The eastern half of the park, below 3,000 feet, is the Colorado Desert. There you will find plant and animal life such as ocotillos, cholla catus, smoketrees, lizards, kit foxes and rattlesnakes. The habitat of the Colorado desert is part of the larger Sonoran Desert spaning from Southern Arizona to northwestern Mexico. How did the giant rocks in the park form? The rocks formed eons ago from magma rising up deep from within the earth between the overlying rocks. As the granite cooled, cracks formed horizontally and vertically. Eventually the granite came in contact with groundwater causing chemical weathering. Once the surface soil eroded, the giant heaps of rocks were exposed. 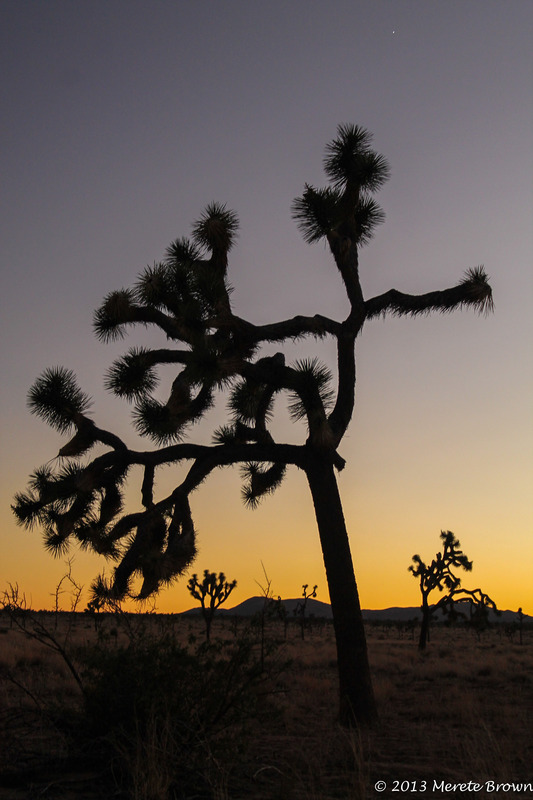 How did Joshua Tree get its name? 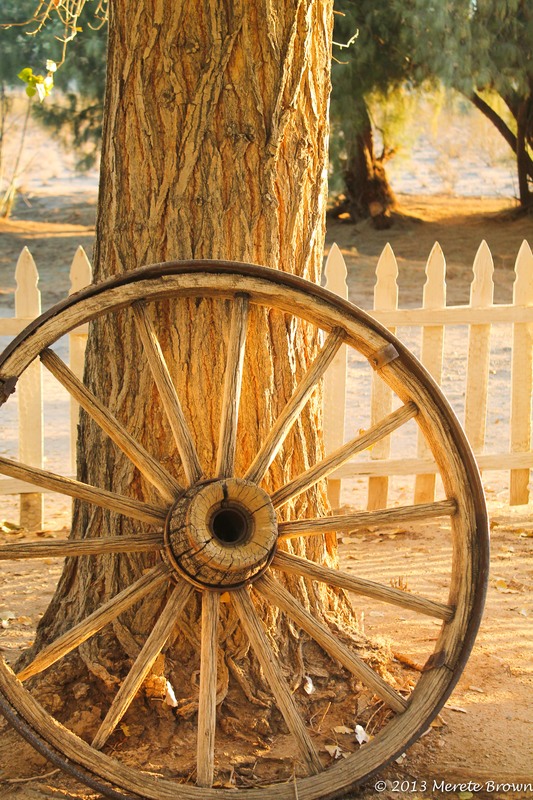 According to the National Park Service, the legend is that Mormon pioneers considered the Joshua trees to resemble the outstretched arms of Joshua leading them to the promised land. 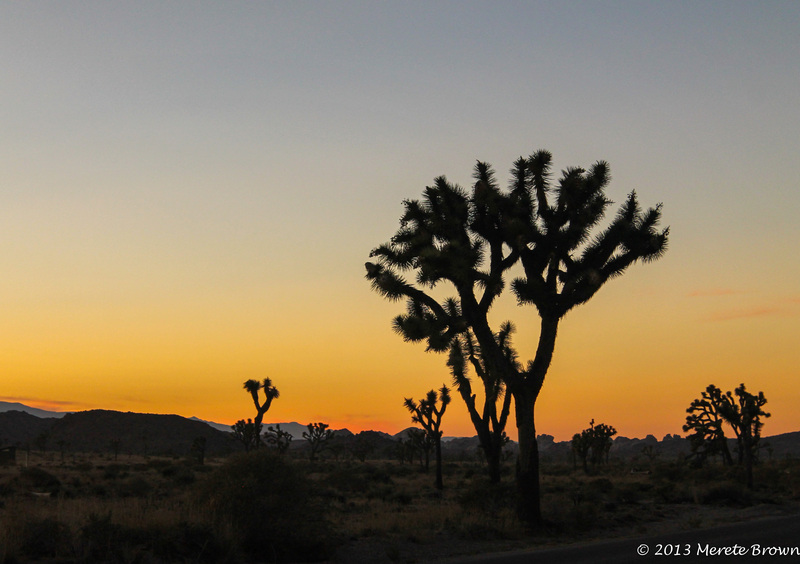 Hence, the name Joshua tree.